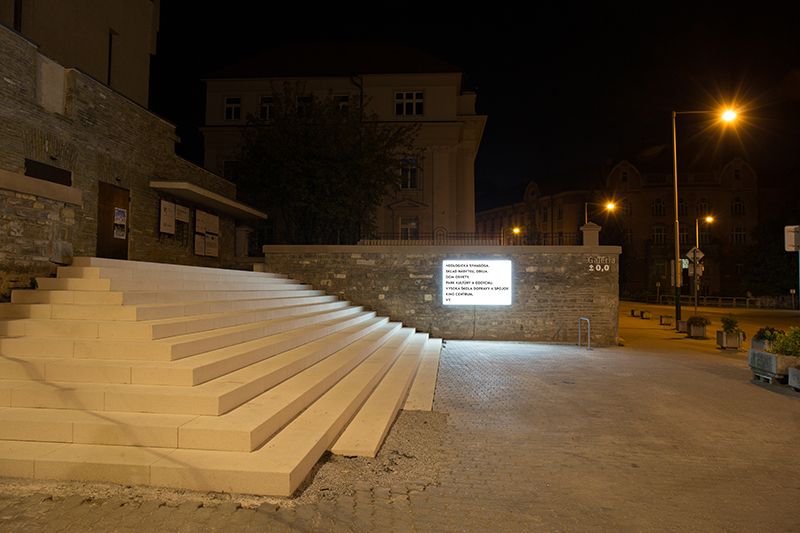 As part of the reconstruction of one of Slovakia’s most important cultural monuments, Nová Synagóga in Žilina – a landmark of modern architecture by Peter Behrens – this non-profit institution has commissioned a series of permanent installations. 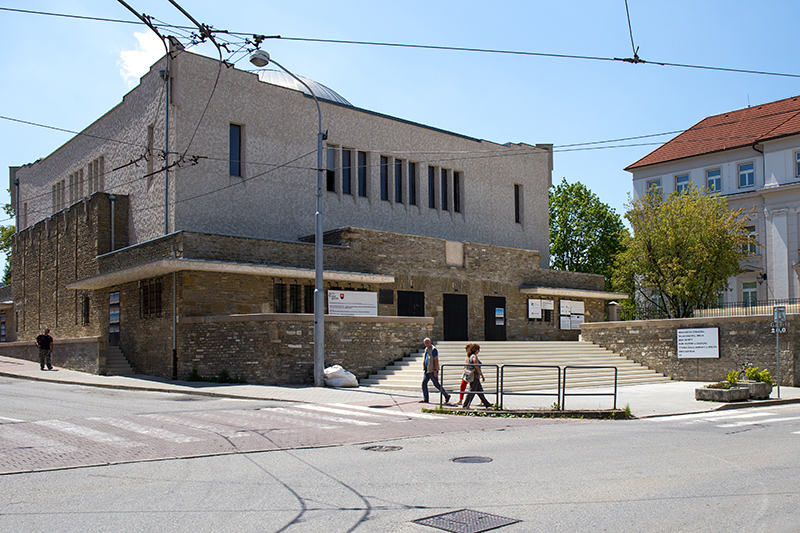 The building is not just an important piece of cultural heritage, but also exemplifies the resistance against different political and social appropriations that attempted to erase cultural and religious manifestations in the city. 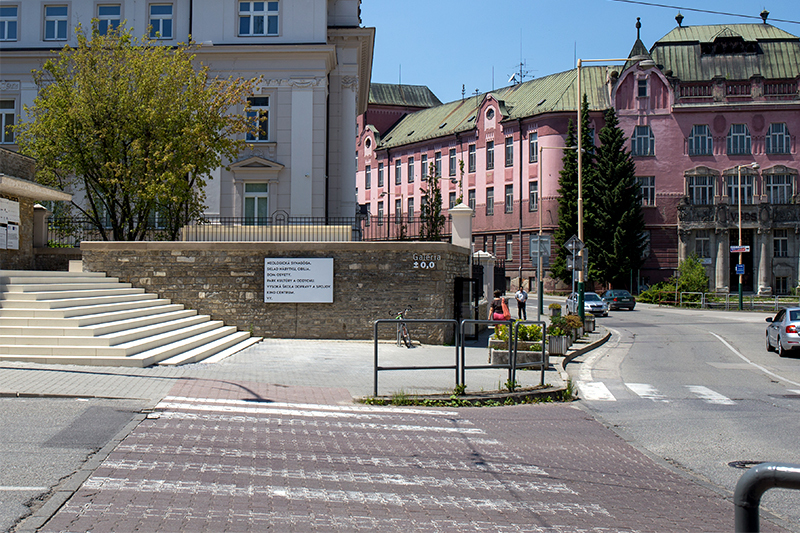 The interest of the current institution is to reveal the hidden layers related to programmatic content and the social functions of the building that are part of the urban (collective) memory of Žilina. With this new and yet undefined institutional activity, the building is open to potentially transcend the local scale as a cultural attractor within a context in a state of flux. 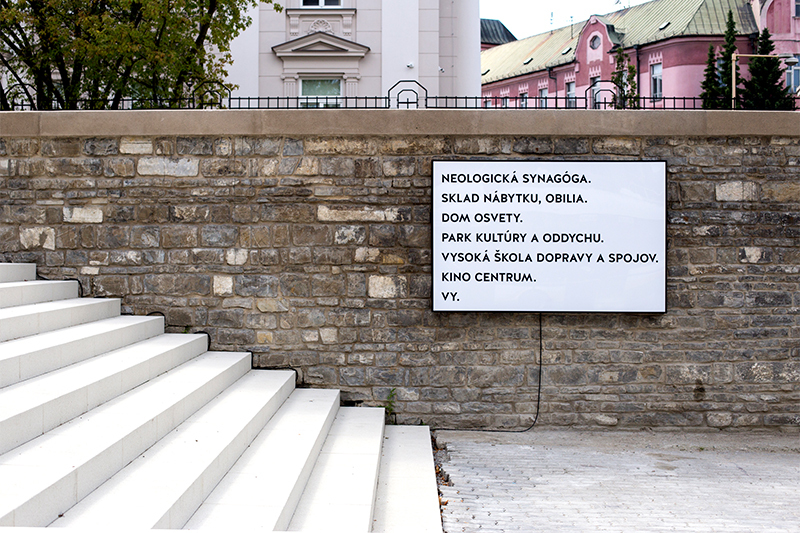 The studio’s intervention reflects on the non-physical changes: the programmatic content that – in the case of Nová Synagóga’s history – was the most dynamic factor. The change of function of the synagogue is an act of secularization of a sacred architecture. The permanent lightbox addresses pedestrians while introducing these questions in the urban context and in the city’s everyday reality. It acts as a day- and nighttime reminder of these memories while interrogating civic engagement in cultural heritage and its (unlimited) future possibilities: institution as socio-cultural magnet, emphasizing proactive civic engagement.